You may have heard that you can jailbreak your iPhone or other iOS device, but you may be unsure of what that means or how it can be done. So what is jailbreaking and how can you do it with your iOS devices? And what can you do in the rare circumstance that the process goes wrong to protect your data? Although the so-called Apple ecosystem or iOS and iTunes protects users from malicious apps and provides world class quality control, it has one downside. Apple chooses which apps you can and can't have. This means that in order to run certain apps, you can only do so by cracking your phone and obtaining apps via the Cydia App Store. First step to jailbreaking is to ascertain the version of iOS that your iPhone or iPad is running. The method you use depends on the type of iOS you are running. 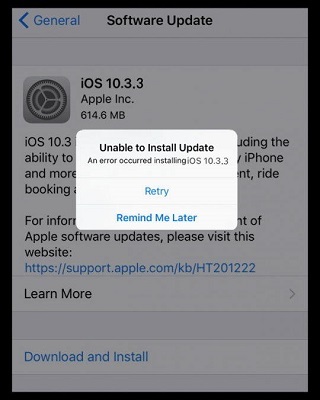 Say for example you are right up to date and you have iOS 10 or iOS 11. You have two choices of ways to use the latest Yalu jailbreak. Pangu or the Safari method is nice and simple. On your Safari Browser go to This Link. Save the browser page to your home page using the share button at the bottom of the screen. Choose to Add to Home screen and rename the app to just Pangu. Now when you click on the app you can side load the latest version of Yalu via Pangu. The next way is a little more challenging. First you need to back up your device using iTunes. (This is a sensible precaution when embarking such an adventure. Now download and install the Cydia Impactor software for your particular desktop. Next you have to download the newest Yalu as an *.ipa file. Disable your passcode or touch ID on your device. Disable Find My iPhone. Now you can begin. Attach your iOS 11.3.1/11.3/11/10 device to your computer using the data/charging cable and run Cydia Impactor. Drag and drop the *.ipa file of the Yalu software to the Impactor. The Cydia software will "sideload" the *.ipa file into your device. Do not disturb or turn off your device while it completes. After completion, go to the General tab of your system settings and locate "Profiles and Device Management" locate Yalu (possibly also called "mach_portal") and click Trust. Exit settings and click on mach_portal and your device will reboot and then Cydia will be on your device enabling you to download a world of apps, outside of the usual ecosystem. Obviously this is a "no user servicable parts inside" type deal and you do this at your own risk. But what if despite the fact you followed the instructions something goes horribly wrong? 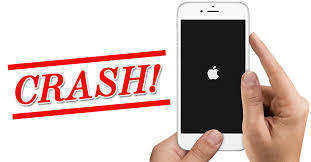 Don't worry because Tenorshare ReiBoot can fix most of the problems you might encounter on adventures in jailbreaking. Just click the phone in and out of recovery mode as easy as touching a button. For a small fee you can upgrade the software to the Pro version and fix 50+ iPhone looping, jamming and red screen problems just as easily. It's worth it to recover your iPhone, and get your iPhone back after a serious error.